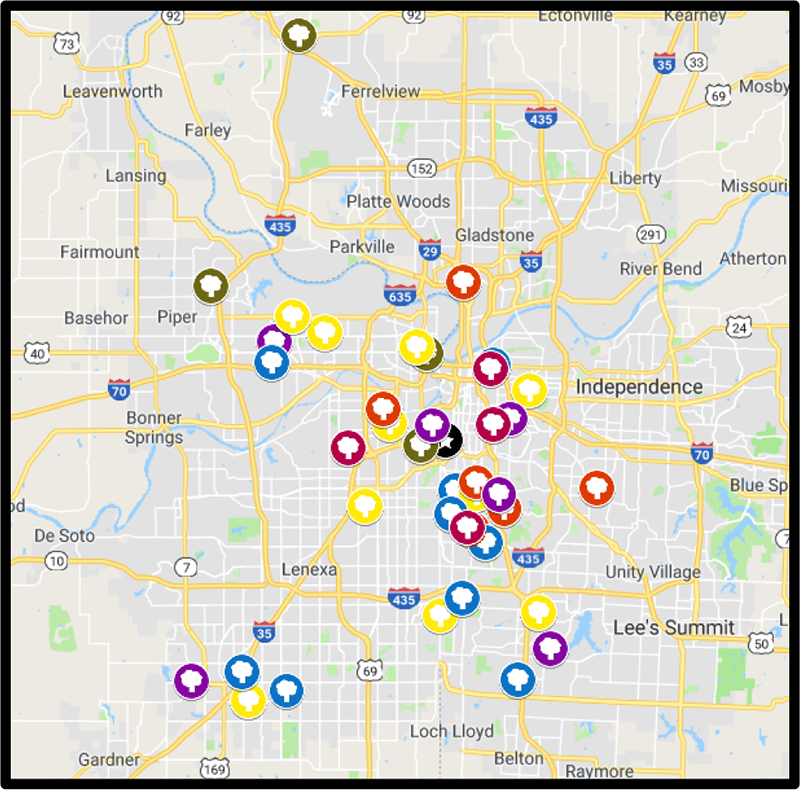 The Giving Grove is a program of Kansas City Community Gardens that helps communities set up and sustain edible tree gardens. The goal is to provide access to nutrient dense calories, create an area where communities can gather, and farm carbon to improve our environment. 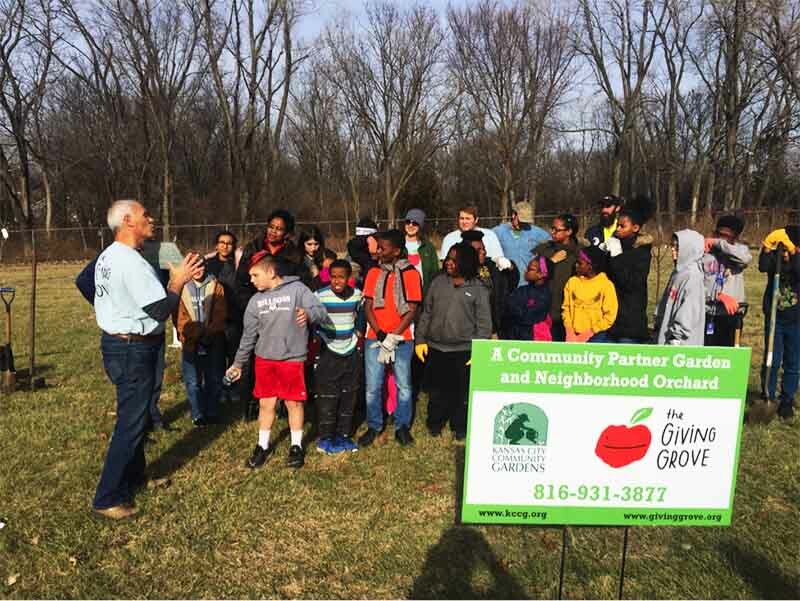 The Giving Grove also aims to connect people with their food, handing over responsibilities to individuals within the community and empowering communities to grow healthy food. 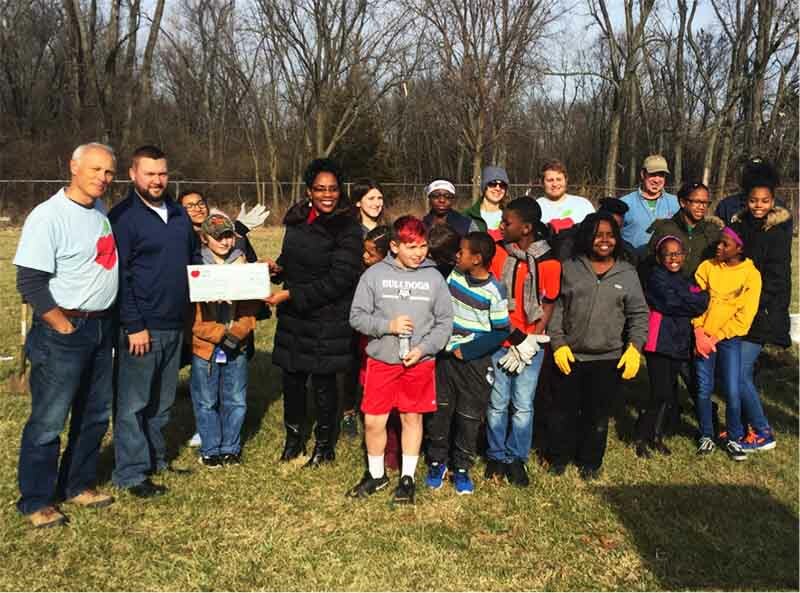 Grandview Elementary is the Giving Grove’s first recipient of the EPA sponsored learning orchard grant. 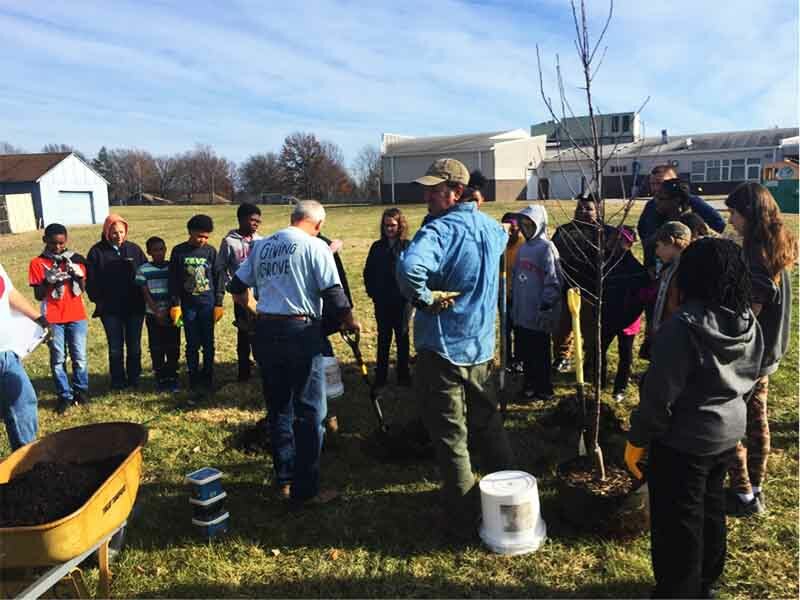 Funding for school orchards in the Kansas City area will remain available until funds run out, and we expect the funding to support approximately 15 additional school ground orchards. It is hard to put a price on outdoor education. As our country shifts towards test-based education, the Giving Grove is trying to give students and teachers an alternative. 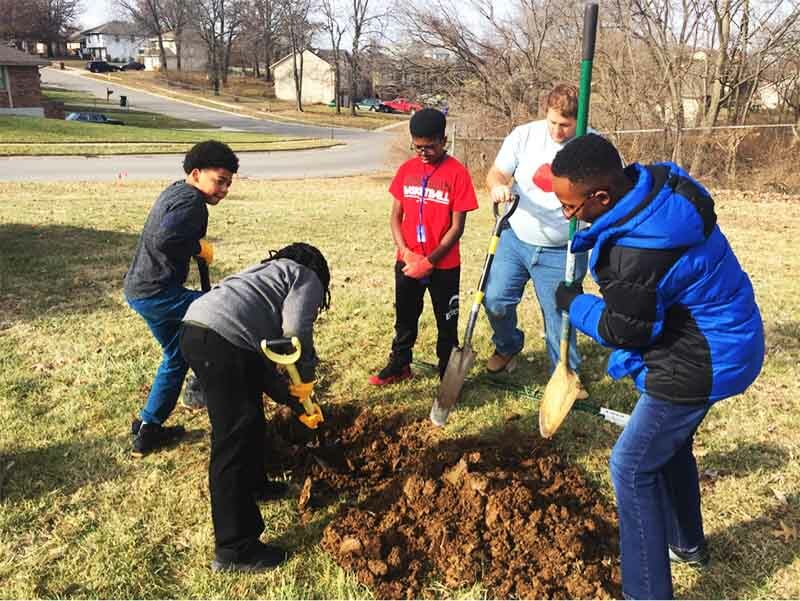 The Kansas City Community Garden’s Giving Grove program is offering funding and hands-on learning opportunities to any metro-area school with over 40% free and reduced meal populations. 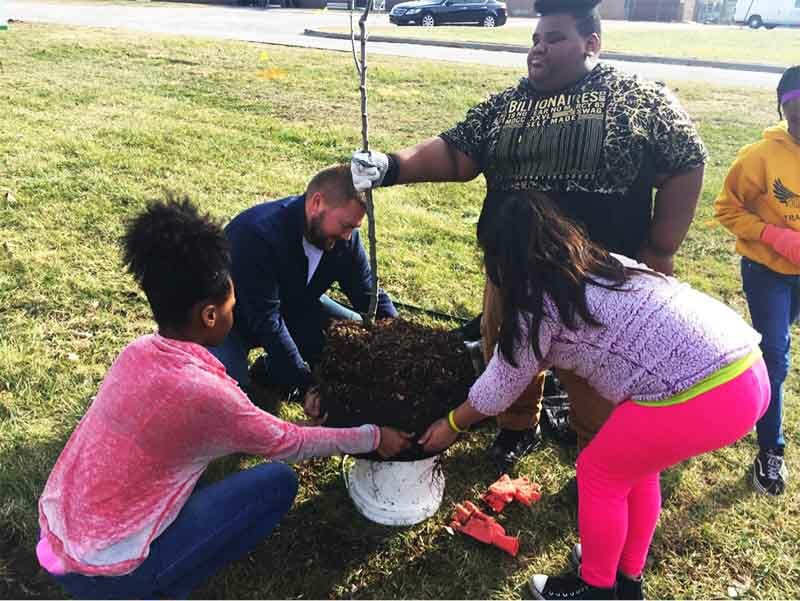 Through this program, Kansas City area schools have the ability to create local food systems that will offer thousands of pounds of nutrient dense calories, build community within the school and with the neighborhood, as well as serve as a carbon farm creating a cleaner, healthier environment. 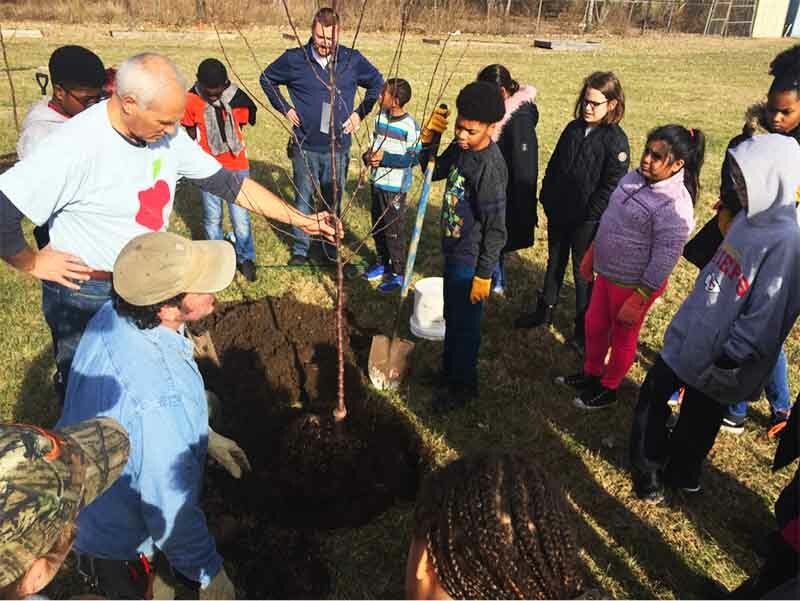 The orchard program offers hands-on experience in establishing and caring for fruits, berries and nuts in an environmentally friendly approach, without the use of chemicals. 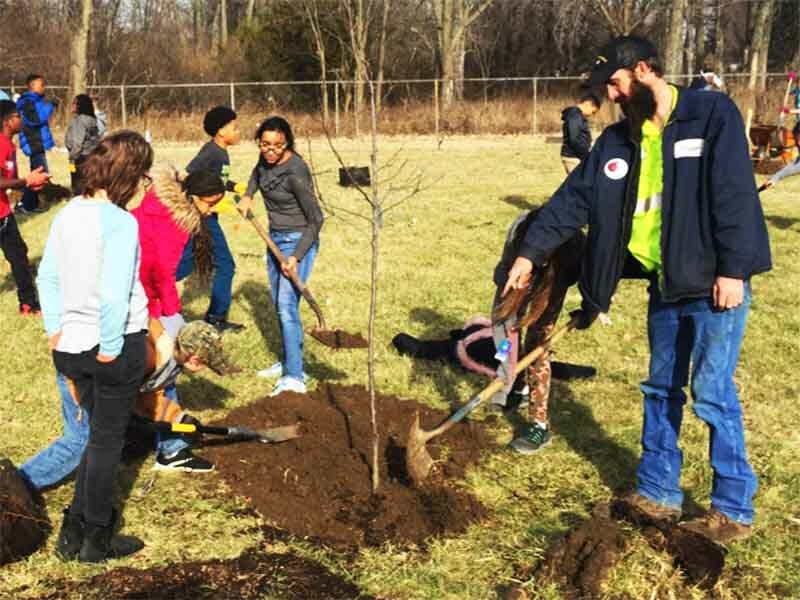 The EPA grant is also providing our Giving Grove program funding to develop curriculum that can be leveraged in the outdoor orchard classroom. This curriculum will cover topics ranging from soil biology to the nutrition of the fruits the orchard produces. In order to lobby for more time outside of the classroom, we are aligning our curriculum with the Next Generation Science Standards, an innovative, more open-ended approach to the Common Core that gives opportunities for alternative learning methods. 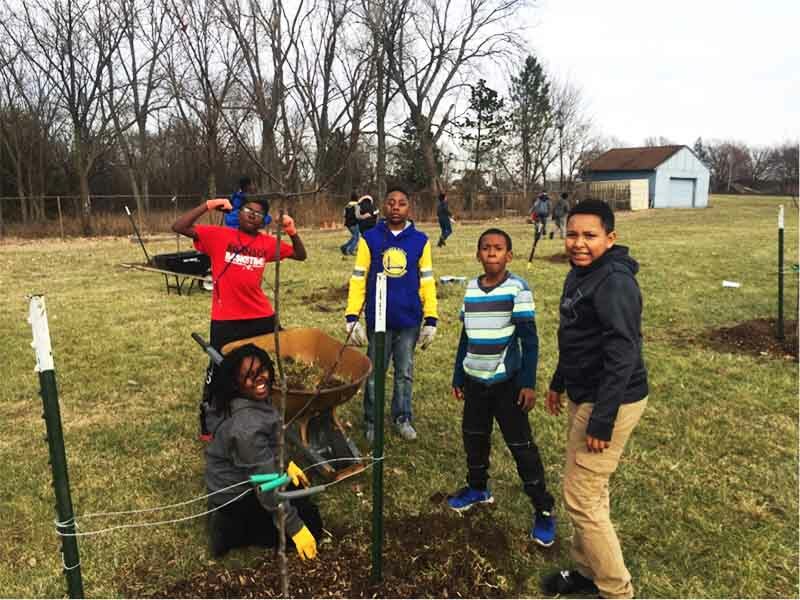 It is our hope that students can meet the standards laid out by the state as well as gain real life experience in caring for a local food system. Previous StoryCheck Out Our New YouTube Channel!